Original, very nice condition finnish Army shoemakers knives. 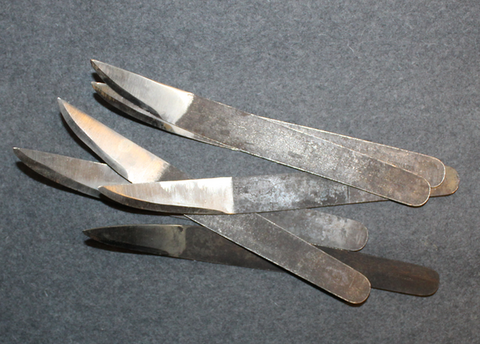 All have Sorsakoski stamps of various styles, may require some sharpening. Commons style of handle is just some leather strap around the blades end. If leather tool of this type is needed, this is a very good choice, as the Sorsakoski was very known for exceptional quality.